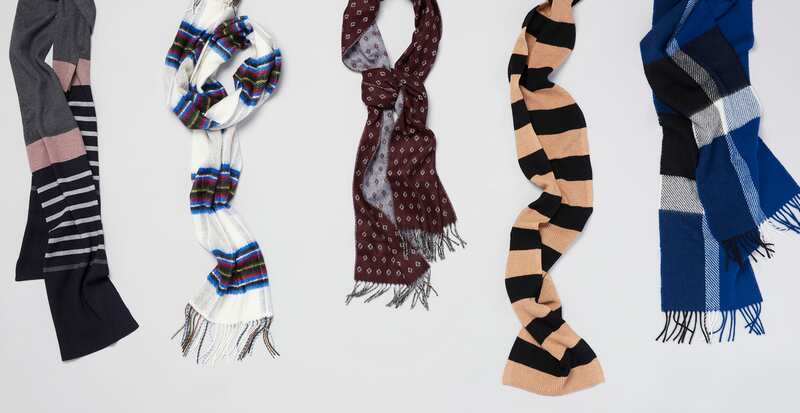 It’s scarf season—and we’re stoked about more than just staying warm. These low-maintenance accessories deliver on style, offering many options for adding color, texture, and pattern to your look. The best scarves keep the cool air at bay while being versatile enough to wear with or without a coat. 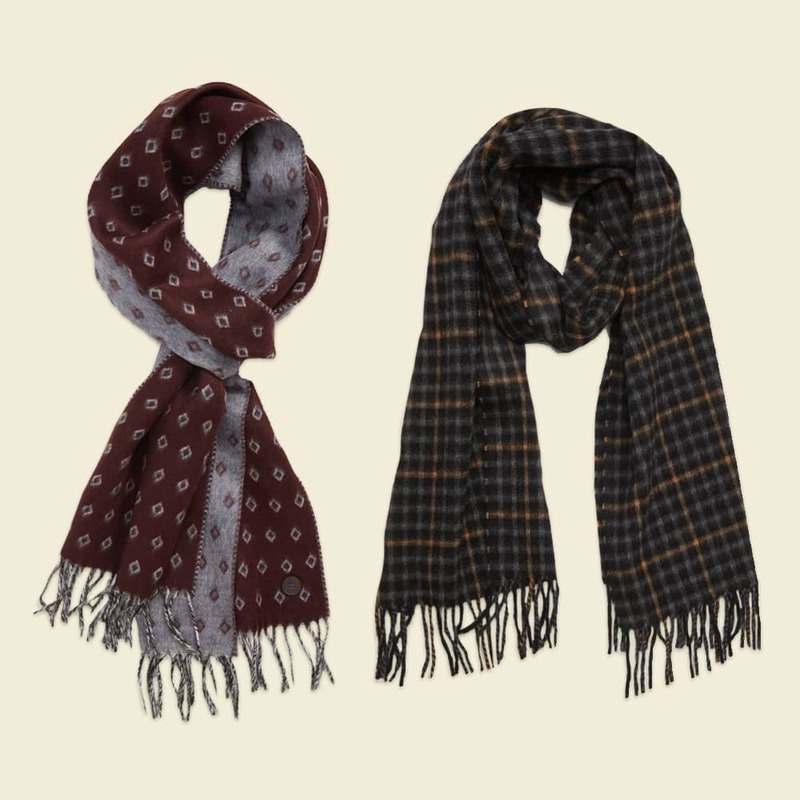 Personally, we love a dapper scarf worn with a swacket or sport coat for any fall occasion. However you like to wear them, you’ll want to browse the latest motifs below to prep for a stylish cold season ahead. Stripes are a classic motif for fall. 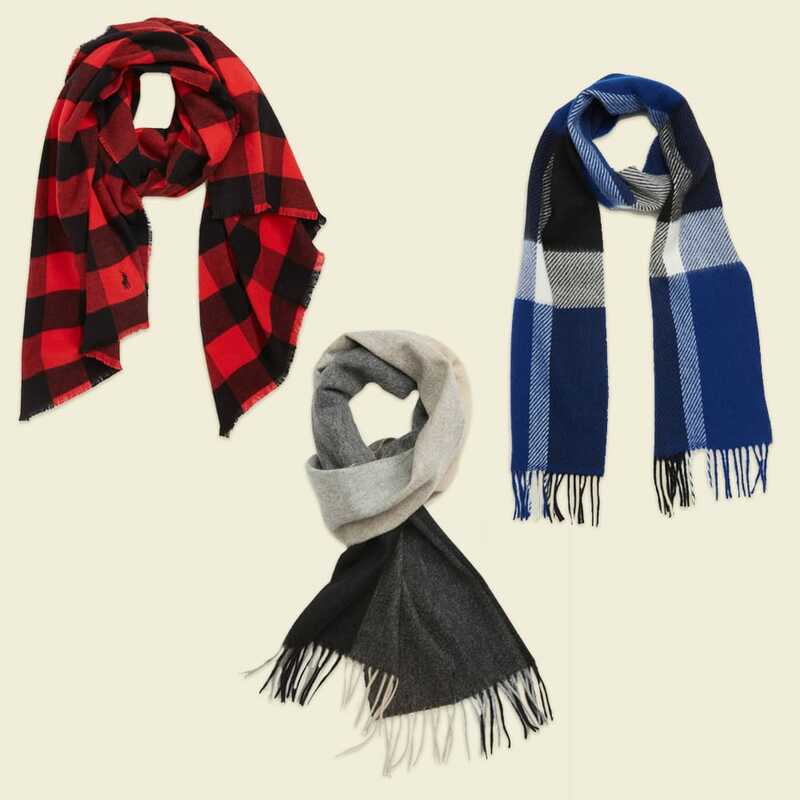 Scarves, in particular, are favored for adding a hint of preppy-cool and elevating an outfit with minimal effort. 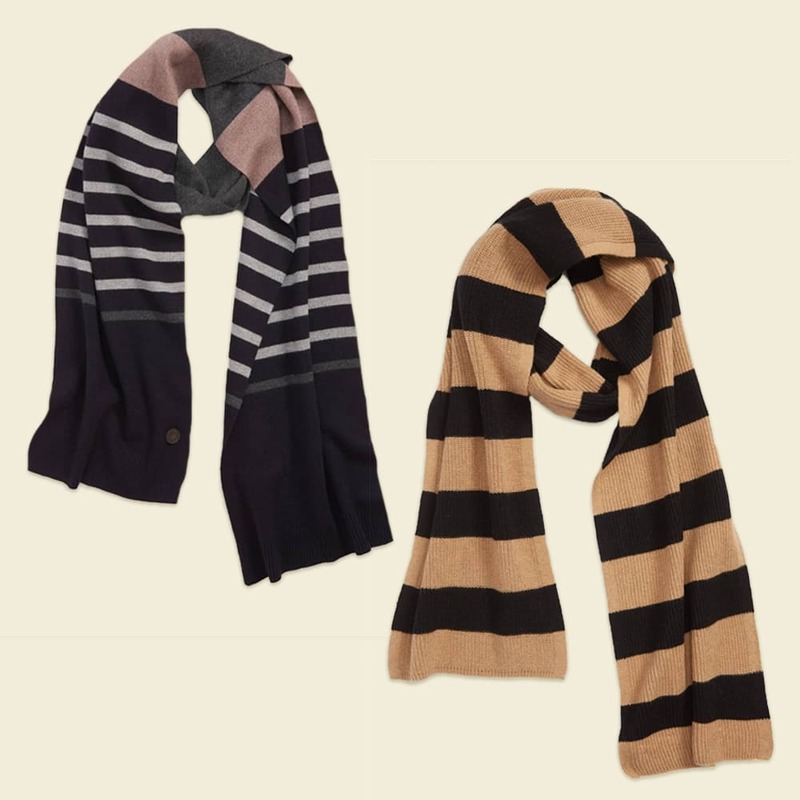 Mix things up with stripes in different thicknesses. A classic stripe in fall hues looks on-point with modern silhouettes and solid-color jackets and coats. Feeling bold in the cold? Large patterns can really stand out and make a vibrant impression when worn on scarves. Have a little fun with oversized plaids and buffalo check. Styles like these stand out against solid colors, but here’s a tip: large patterns can be easily mixed with smaller ones. See our guide to matching shirts and ties—the same rules apply to scarves (it’s all neckwear, after all). When smaller patterns appear on scarves, they read as elegant and sophisticated. A more subtle motif, like a diamond pattern or a windowpane plaid, is great for guys who prefer their fall ensembles on the dressier side. This is one trend you can keep wearing with your sweater or blazer when you get to the office.